Dr. Lily Dominick has seen her share of bizarre cases as a forensic psychiatrist working with some of New York’s most dangerous psychotic criminals. But nothing can prepare Lily for her newest patient. Client 46874-A is nameless. He insists that he is not human, and believes that he was not born, but created over two hundred years ago. As Lily listens to this man describe the twisted crime he’s committed, she can’t shake the feeling that he’s come for her—especially once he reveals something she would have thought impossible: He knew her mother. Lily was only six years old when her mother was violently killed in what investigators concluded was a bear attack. But even though she was there, even though she saw it, Lily has never been certain of what really happened that night. Now, this stranger may hold the answers to the questions she’s buried deep within herself all her life. That’s when he escapes. To discover the truth—behind her client, her mother’s death, herself—Lily must embark on a journey to find him that will threaten her career, her sanity, and ultimately her life. 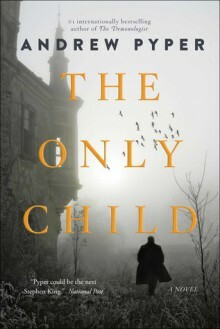 Fusing relentless suspense with surprising emotion, The Only Child is a psychological thriller about family, identity and monstrosity that will keep you up until its last unforgettable revelation.